Kaua‘i Family Fun: 3 Nights, up to 6 people There’s something for everyone in this fun-filled family getaway on Kaua‘i Island. 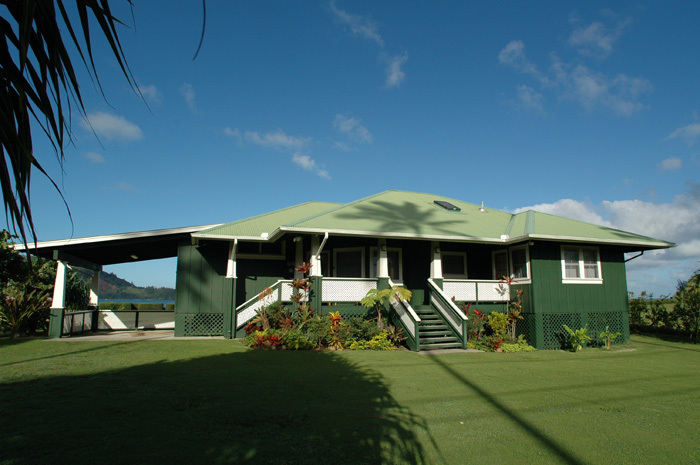 Settle-in beachfront on Hanalei Bay for a three night stay at the Nalu Cottage (the same home George Clooney used while filming The Descendants). Then, get ready to PLAY! Up for grabs—jun ken po, anyone?—are four half-day SUP rentals (Hello, it’s Hanalei Bay, get out on the water! ), two Zip-n-Dip zipline adventures (half-day tour incl. 9 zips), and one luxurious massage. Your trip is complete with an educational and invigorating morning bird hike with Dr. Carl Berg. On this private guided outing you’ll scout for native shore and oceanic seabirds along the glorious conservation lands of Kaua‘i’s northern coast. Your spirits are sure to soar after this getaway! *Winning bidders have until December 1, 2012 to book their stay, all reservations are based on availability. The winning bidder is responsible for a $500 cleaning fee. No events or parties of any kind may take place at the rental.